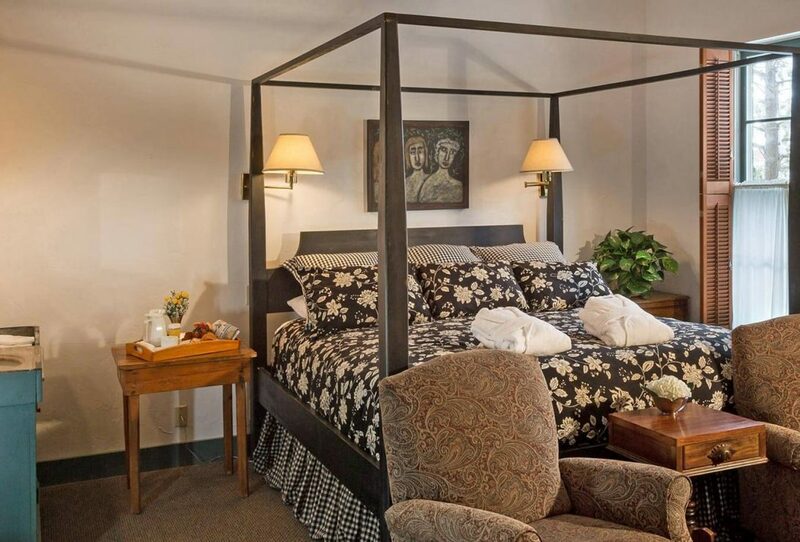 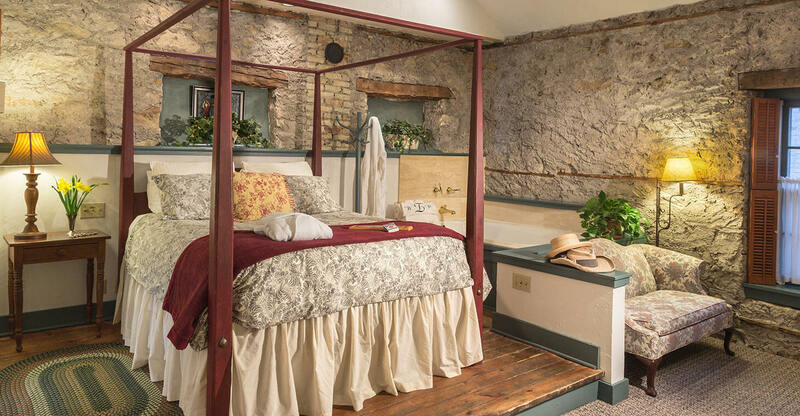 The John Roth guest room is a country delight at our bed and breakfast near Milwaukee, WI. 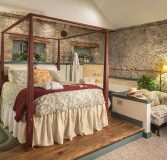 With an oversized in-room whirlpool bath, hypnotic fireplace, pencil post queen bed and sitting area, this room is set for romance. 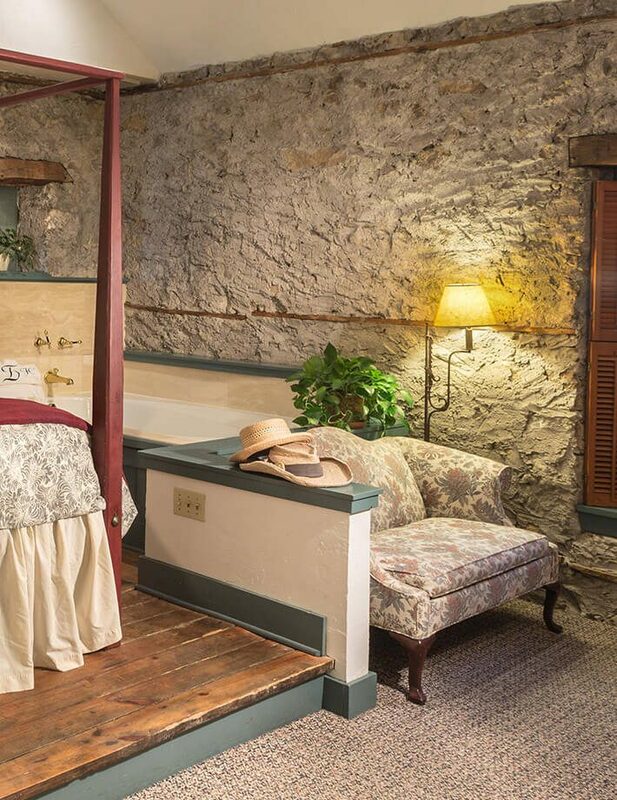 Natural stone walls and original lathe surround the sitting area, and the bed sits on a platform next to the tub. 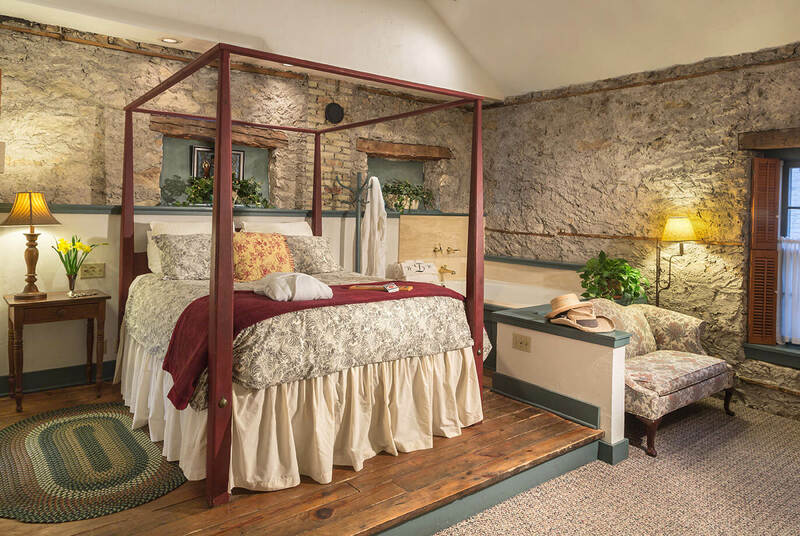 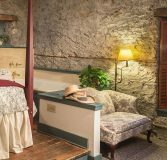 It also has a separate shower in the bathroom area; the perfect place for a quiet, romantic getaway in Cedarburg, Wisconsin.